Imagine that you have just been told you need to have surgery. You are also a smoker. You have been smoking for some time and figure that your body has adapted to the habit and can likely take care of itself, surgery or not. However, let’s look at a scenario where you quit smoking before you have surgery. Two days before undergoing bypass surgery, you decide to stop smoking cold turkey. Within the first few hours, nicotine will start leaving your body. After 12 hours, it will be almost completely gone. During the next 12 hours, there will be a significant drop in the amount of carbon monoxide in your body. Both nicotine and carbon monoxide rob the flow of oxygen to the bloodstream. The less oxygen you have, the more likely you are to experience a heart attack. 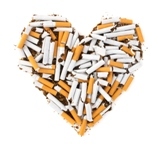 Already—within just 24 hours of quitting smoking—you have reduced your chances of suffering a fatal heart attack. Were you not to quit before having the operation, the nicotine in your blood stream would cause your body to need more oxygen, while at the same time less will be available creating a serious deficit. Your lungs will also suffer. Smoking causes your airways to shrink. This ups the risk for a lung collapse while your body is already under stress from undergoing a surgical procedure. Infections and pulmonary complications are a very real threat just after surgery. If you were to continue resisting the urge to light up, more health benefits would present themselves post-surgery. Four weeks after quitting smoking, you’ll find that your body can heal wounds much easier—including those inflicted by the surgery. It’s estimated that if you were a smoker and quit 10 weeks before a scheduled surgery, your rate of complications after surgery would be about the same as someone who was a non-smoker. Now—there’s also a number of side effects that come with surgery, regardless of whether you’re a smoker or not. These can include a sore throat if a tube has been placed in the airways to help with breathing. Most patients experience bruising due to the injection of medicines. Nausea is another side effect that happens in reaction to anesthetic drugs. And too, there can be headaches, drowsiness, back pain, and disorientation. For all of the above reasons, Australian and New Zealand anesthetists have enacted a policy that requires all elective surgery patients to be asked if they smoke. If someone is a smoker, under the new policy, they’ll receive treatment aimed at helping them to quit. The policy doesn’t mean that someone’s surgery can be cancelled or delayed, but it does give a better chance for smokers to avoid potentially life-threatening complications by receiving referrals to smoking cessation programs. Ideally, the Australian and New Zealand anesthetists are hoping the new policy will get smokers to quit four to six weeks before surgery. If you’re a smoker and are on a waiting list for surgery, now’s the time to get help with quitting. Stopping smoking well in advance of any operation will give your body a better chance of getting through the procedure and recovery period with flying colors. McArthur, G., “Smokers will be asked to quit before undergoing surgery under new medical guidelines,” Herald Sun web site, June 26, 2013; www.heraldsun.com.au, last accessed July 2, 2013. Voors, A., et al, “Smoking and Cardiac Events After Venous Coronary Bypass Surgery: A 15-Year Follow-Up Study,” Circulation 1996; 93:42-47. Fujisawa, T., et al., “Smoking Before Surgery Predicts Poor Long-Term Survival in Patients With Stage 1 Non-Small-Cell Lung Carcinomas,” JCO. July 1999; 17(7).